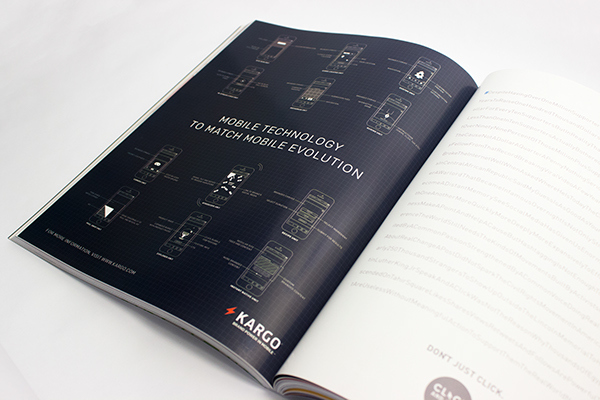 I designed the 2014 Kargo ad featured in the 11th Annual Advertising Week almanac. 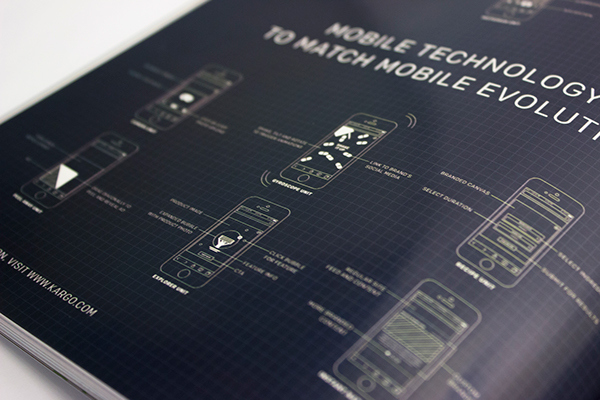 The concept of this ad was to showcase the technology that goes into the ads created by Kargo, rather than showcasing the ads themselves. 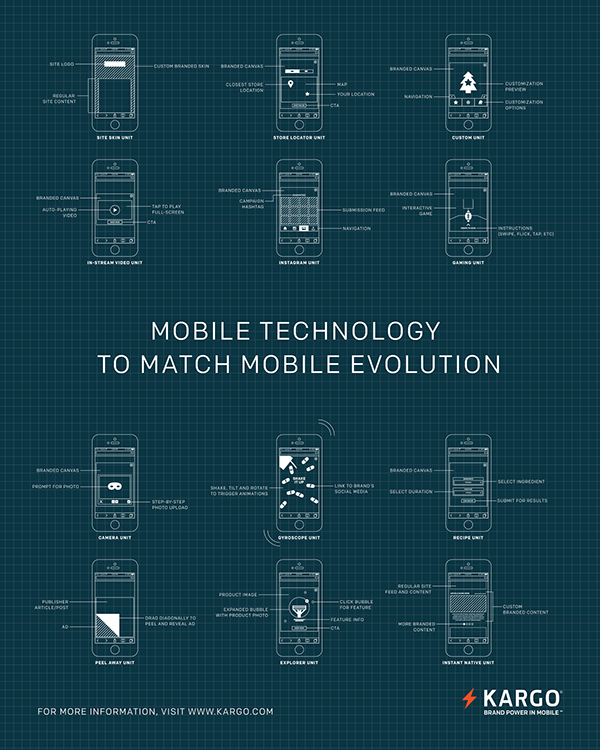 I came up with the idea of using references to blueprints, showing the bare bones of each ad unit Kargo offers.